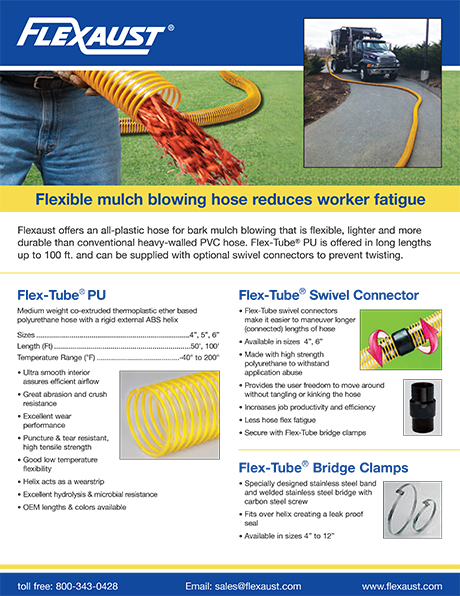 A flexible, general purpose, wire-reinforced Santoprene® thermoplastic rubber hose that is well suited for wide range of ventilation and light bulk handling applications is available from Flexaust. 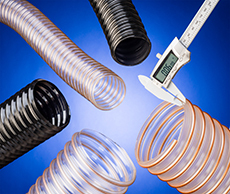 Flexaust Flexadux® TR T-7 Hose is a medium weight thermoplastic rubber hose that is reinforced with a spring steel wire helix and is highly resistant to chemicals, moisture, UV, and abrasion. 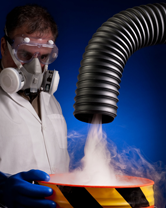 Capable of handling toxic fumes, dust, sawdust, wood chips and similar materials, this Santoprene® hose comes in 2” to 24” I.D. dia. 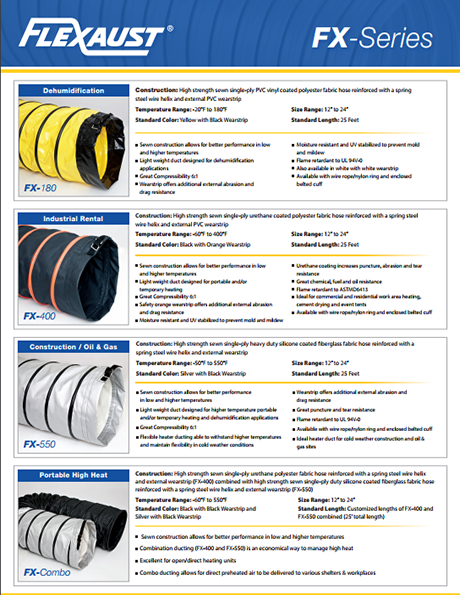 sizes and metrics in standard 25 and 50 ft. lengths. 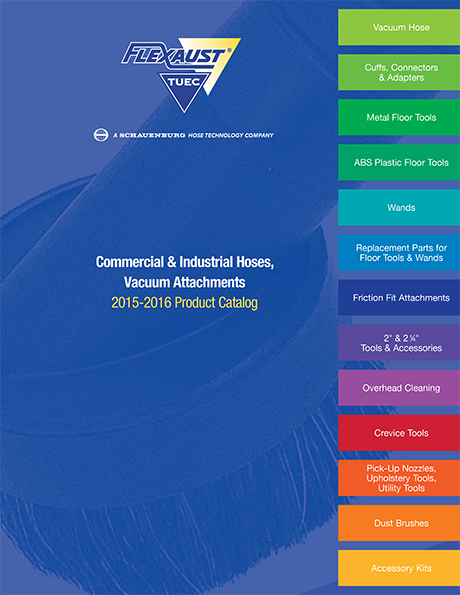 Featuring a smooth interior to promote efficient air-flow, Flexaust’s Flexadux® TR T-7 Hose has a wall thickness of .025” for 2” dia. and .030” for 2.5” and above. 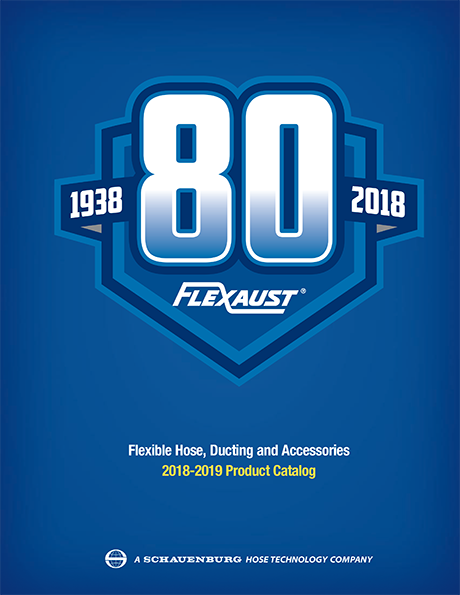 Operating over a -60°F to 275°F range and providing good weather-ability, this versatile hose allows maintenance departments to inventory one hose rather than several different types, claims the firm. Samples and price quotations are available upon request.